A Saudi Arabian man living in Canada says he won't stop speaking out about the diplomatic row between the two countries, even though Saudi police have allegedly threatened his family. Omar Abdulaziz, a student and political activist, told The Current that Saudi forces entered his brother's home and "asked him to convince me [to] stop tweeting about what's really going on between Canada and Saudi Arabia, or they're going to send him to jail." Sources back at home have assured him his family is safe, but he has not yet been able to get in contact with his brother or friends, he said. Was Canada's criticism of Saudi Arabia a diplomatic faux pas? Still, Abdulaziz told guest host Laura Lynch he won't be intimidated by threats against his loved ones. "I'm not going to stop." Abdulaziz's political activism began in 2009 when he moved to Canada to study English at McGill University. In 2013, after amassing a large online following, Saudi authorities terminated Abdulaziz's scholarship to study in Canada and told him to return home. Fearing for his life, Abdulaziz claimed asylum in Canada in 2014, and now lives as a permanent resident in Quebec where he continues his studies at Bishop's University. 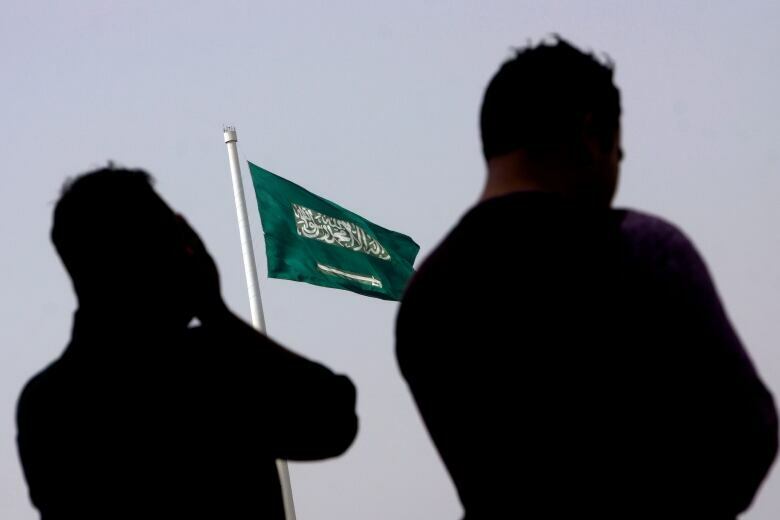 He spoke to The Current about the diplomatic row that erupted between Canada and Saudi Arabia after Global Affairs Canada tweeted a call for the "immediate release" of detained Saudi women's rights activists. Canada is gravely concerned about additional arrests of civil society and women’s rights activists in <a href="https://twitter.com/hashtag/SaudiArabia?src=hash&amp;ref_src=twsrc%5Etfw">#SaudiArabia</a>, including Samar Badawi. We urge the Saudi authorities to immediately release them and all other peaceful <a href="https://twitter.com/hashtag/humanrights?src=hash&amp;ref_src=twsrc%5Etfw">#humanrights</a> activists. Saudi Arabia condemned the tweet as "interference," expelled the Canadian ambassador and said it would cease new trade deals. Prime Minister Justin Trudeau refused the call for an apology, saying Canadians expected their government to stand up for human rights. With some 272,000 followers on Twitter, Abdulaziz has been tweeting about the tensions as they unfolded. In response to the alleged threats to his family, some have suggested he stop tweeting. "My brothers and friends are no more important than the thousands of scholarship people whose lives have been disrupted and not more expensive than the thousands who are unjustly detained in prisons…," he tweeted in Arabic in response. Mehdi Hasan, a columnist for The Intercept and a host for Al Jazeera English, said that Saudi Arabia is "very sensitive" about criticism on social media, both from individual activists and foreign governments. "Saudi Arabia has a very high number of young users of social media, and they didn't like the fact that Canadians were doing this on Twitter," he told Lynch. He said that Saudi Arabia's motivation for picking a fight with Canada is very simple: "if you want to do business with Saudi Arabia ... you have to shut up about human rights, especially on social media." But Abdulaziz believes he has amassed such a large following online because he speaks to a "young generation in Saudi Arabia that is eager for change." "There's no freedom of speech," he told The Current. Abdulaziz has received a deluge of responses to his tweets and videos, and he isn't going to stop. "They cannot threaten me here," he said. "I'm here in Canada, I feel safe. They cannot scare me. If they're going to use my brothers or my friends to silence me, tomorrow they're going to use them to make me say whatever they want."